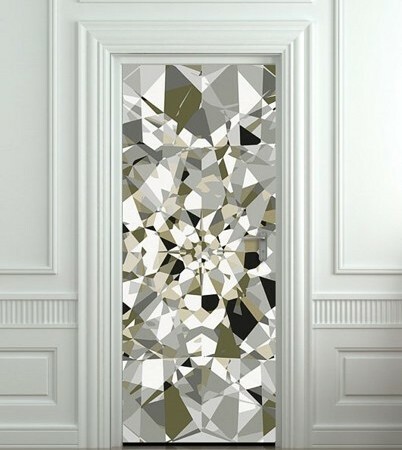 Door stickers are a cool way to decorate your interior doors. They are waterproof, washable and have a UV protective coating that ensures durability. The best thing about door stickers is that you don’t need glue, paste or other chemicals, because they have self adhesive backing. The application is fun and easy – simply peel off and apply to your interior doors. Apply door stickers only to smooth surface. Make sure your interior doors are clean and dry. Remove the door handle and measure the door. Unpack and spread the sticker on a flat surface. Cut it to the size you need. Next, peel the white backing from the transfer sheet. Install the sticker applying even pressure to make sure there aren’t any bubbles. If there are bubbles, poke them a few times with a needle and smooth out the sticker with your hands. Finally, put the door handle back on. Decorating door stickers, interior doors. permalink.